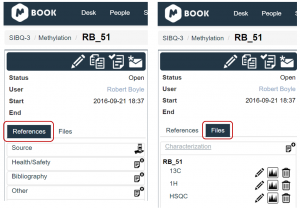 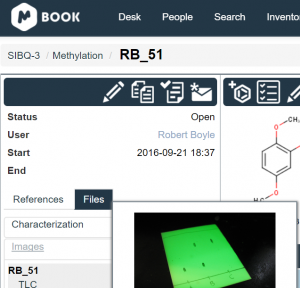 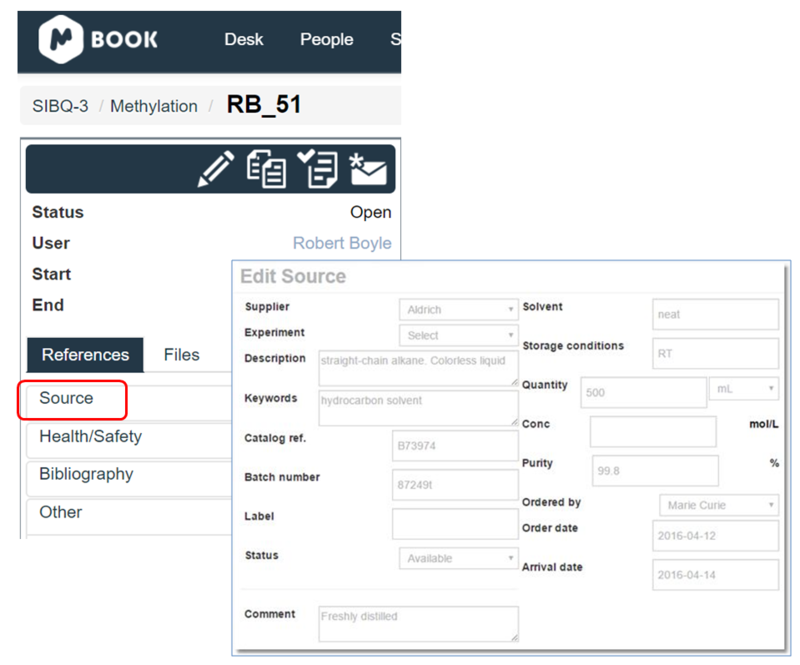 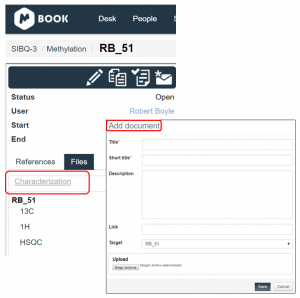 This tutorial shows you how you can add analytical data and documentation related to your experiment in Mbook ELN. 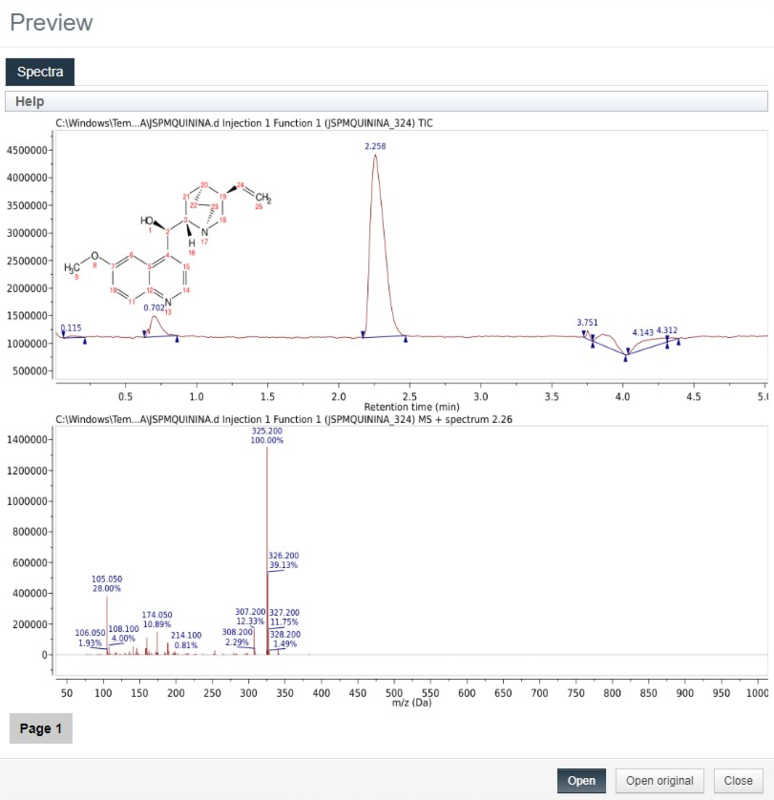 Supporting images i.e. 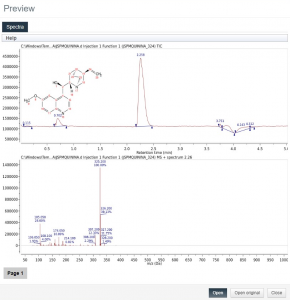 TLC picture, reaction set up, etc. 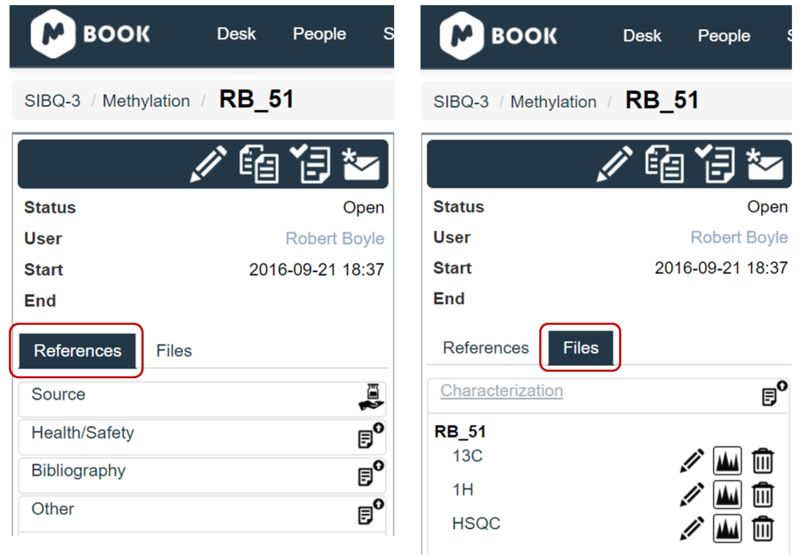 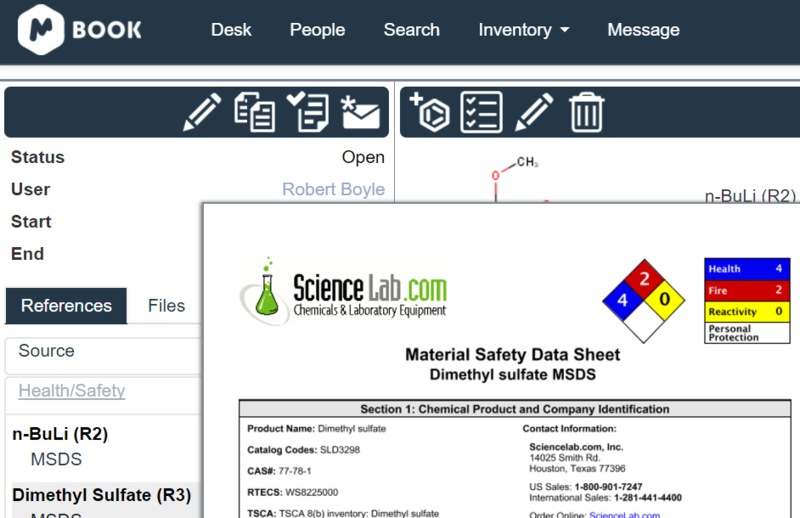 The “References” tab allows you to add the source of your chemicals and upload the relevant health & safety MSDS sheet, bibliography, or any other type of document you might require for your experiment. 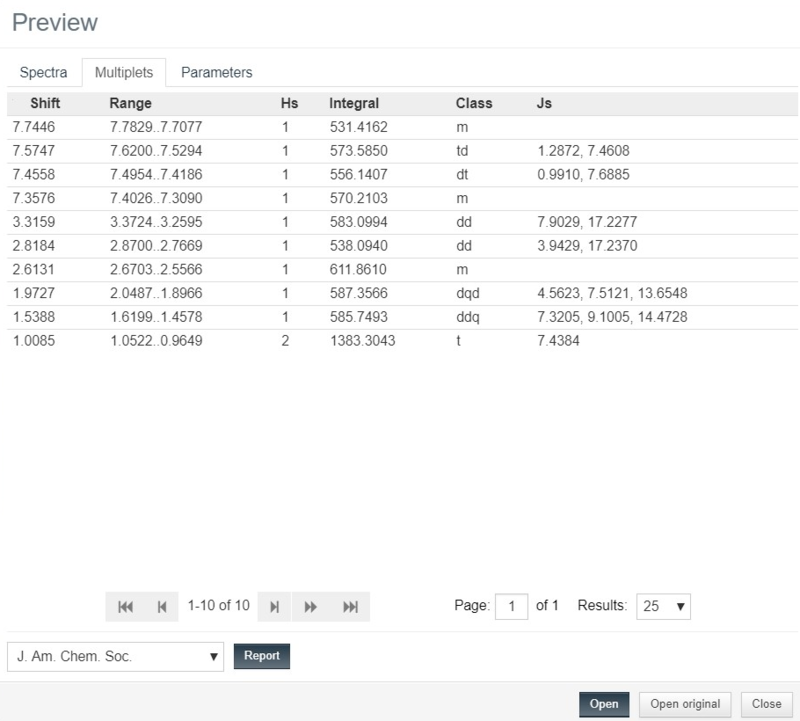 The screenshots below show an example of the variety of data you can add to your experiment. 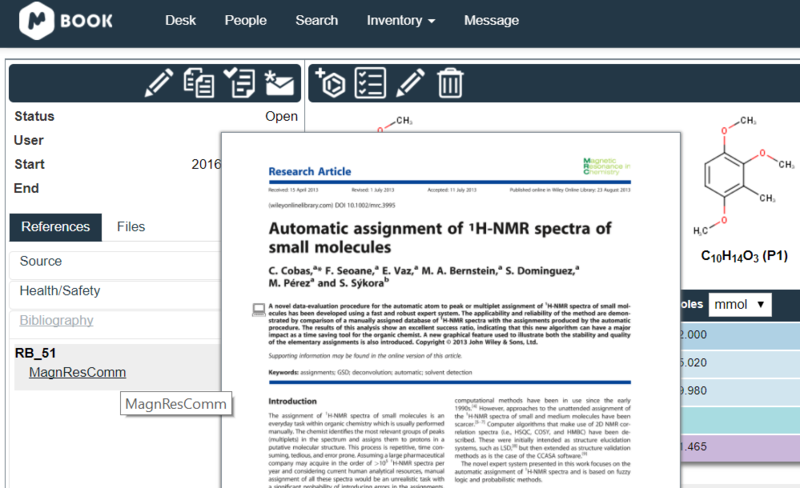 You can also see a preview of your documents by simply hovering your mouse over the file name. 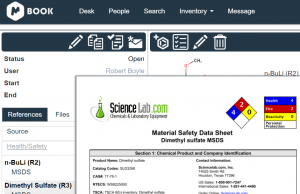 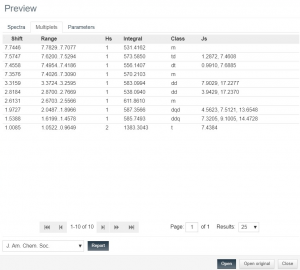 You will be able to upload all your analytical data related to your experiment. 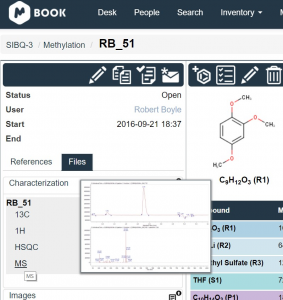 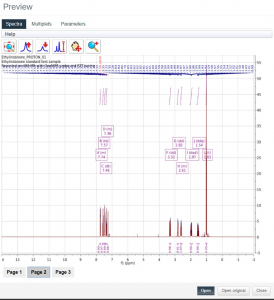 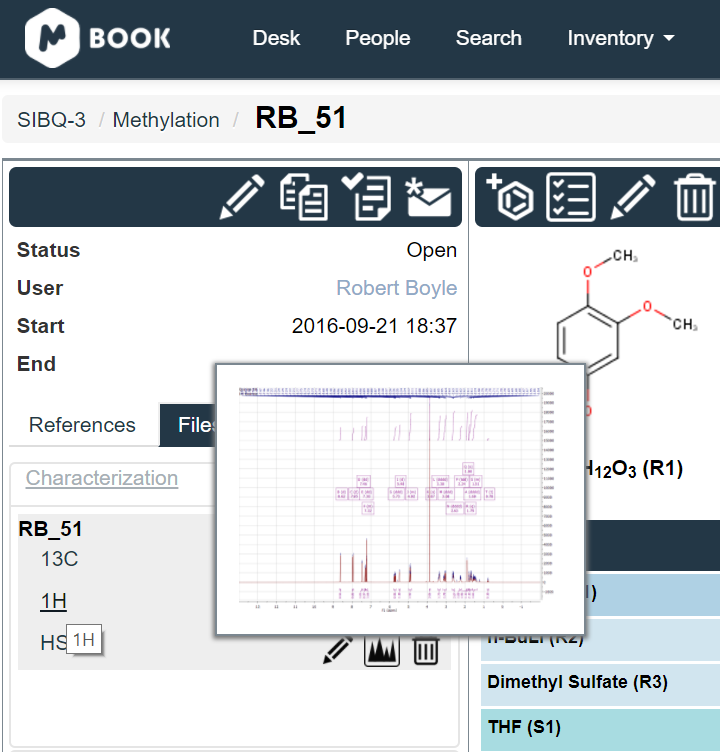 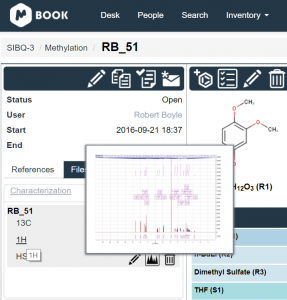 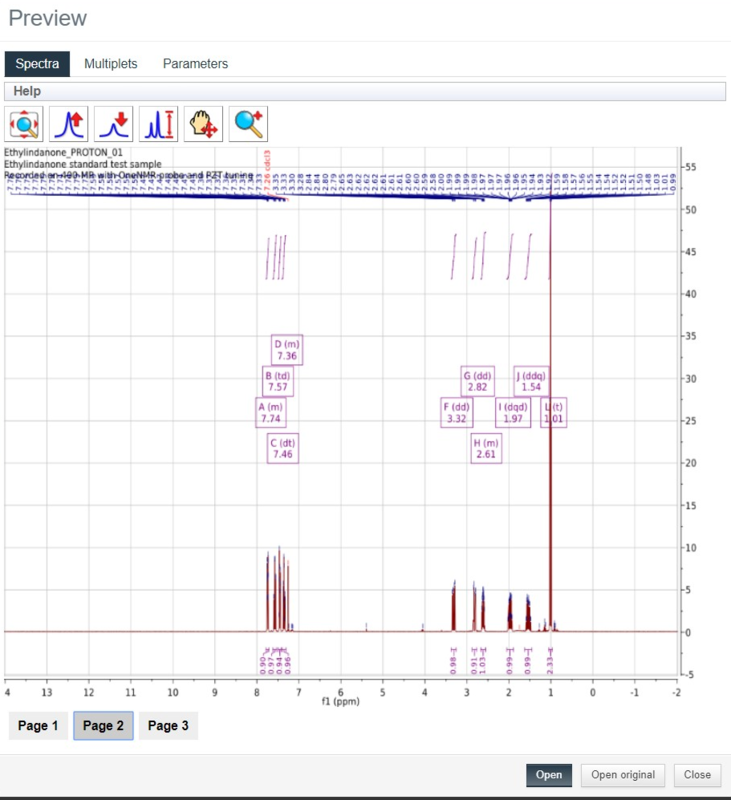 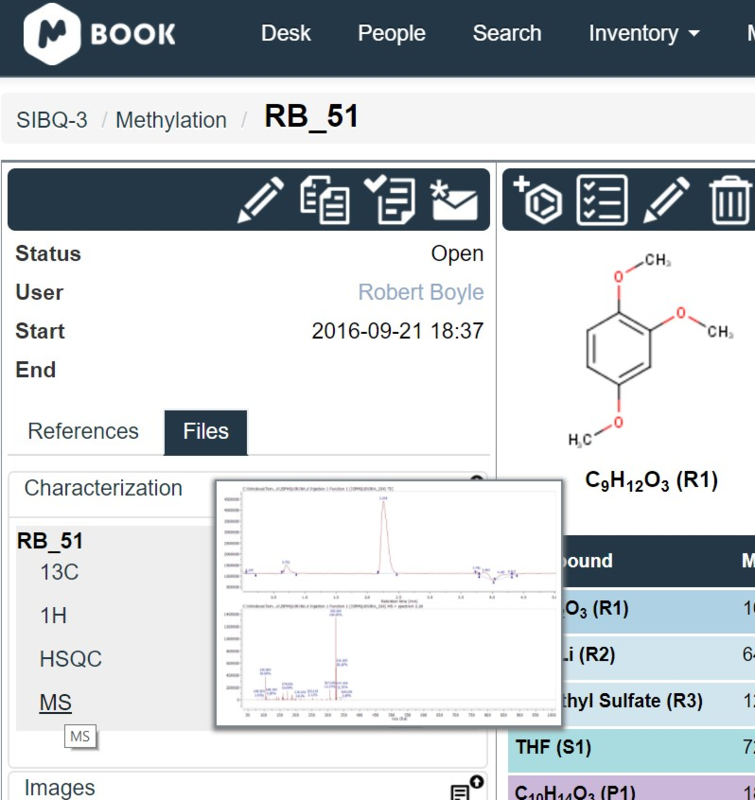 A unique feature of this Electronic Lab Notebook is the capability to interact with your raw Mnova files (NMR and MS). 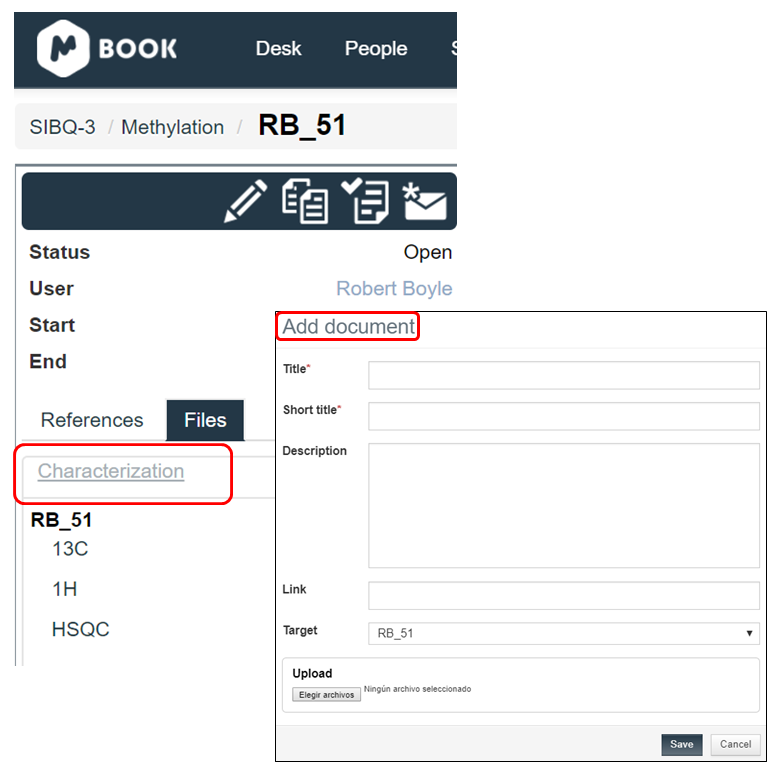 You can even process your data directly through Mbook by uploading the required zip file as Mnova will be running in the background. 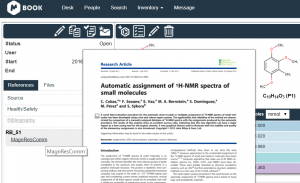 You can upload any document you think is useful or required for your experiment. A standard subscription will entitle you to 4Gb of data.